These gourmet cookies are handcrafted with care using premium ingredients. 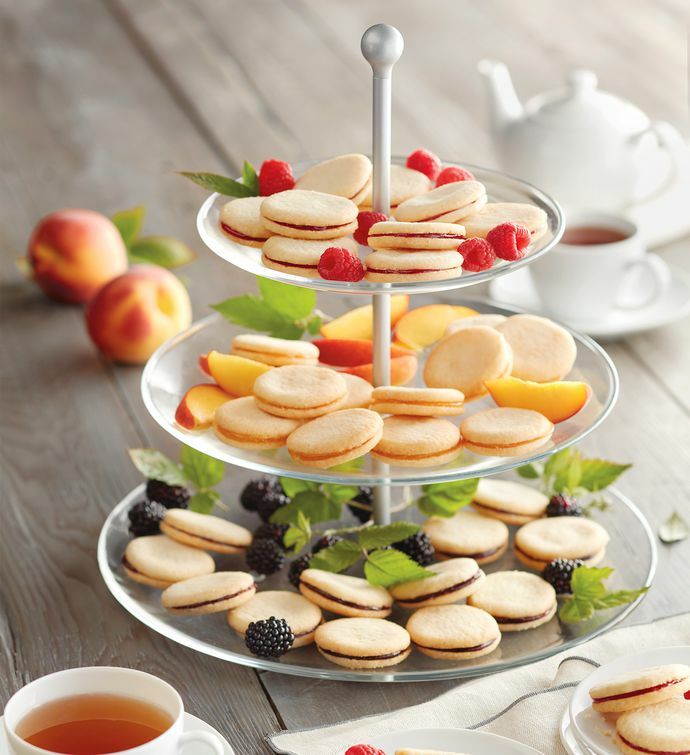 Between each soft, buttery cookie is a layer of sweet and tangy filling made with real fruit—in flavors of raspberry, peach, or blackberry—making each bite simply divine. There's plenty to go around with this bountiful cookie box, which holds three dozen delightful galettes.